Looking for business ideas in Canada? Look no further. 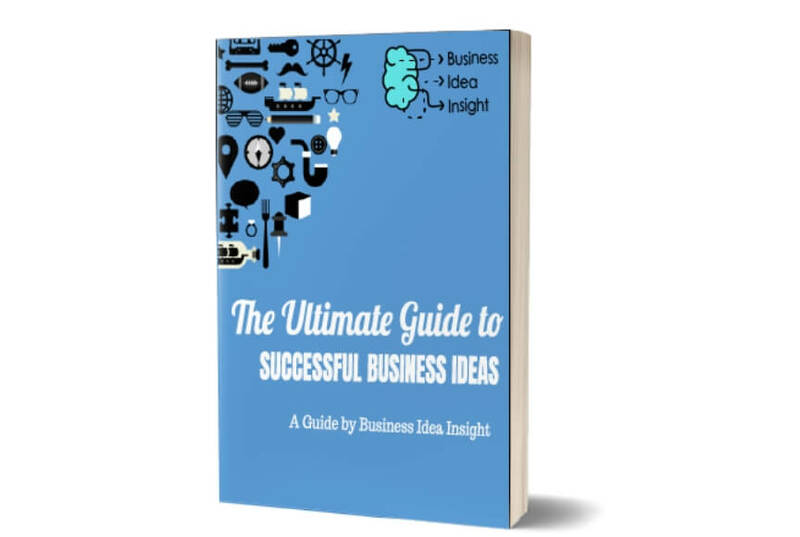 This list of ideas was developed and created from the techniques, exercises, and business idea tools used here at Business Idea Insight. They consider the latest industry research from the sectors that are poised for significant growth. Even if you don’t live or want to launch a business idea, these could work very well in economies that are similar. Canada is known for exporting and importing a significant amount of natural resources and finished goods. However, the current process can take many days or even weeks for something to pass through the border customs. That doesn’t even take into consideration the wait times at the other borders before it arrived in Canada. This business idea would use blockchain technology to help track the package from reputable suppliers. This would speed up the process as all authentications and handlings could be verified. If you have a passion for blockchain and international trade, this could be a perfect fit related to the value you can bring to the market. Do a favor for Canada and the miserable employees that are working in the fast food industry, and create a robot with artificial intelligence that can perform the duties of the workers. For instance, a simple menu with a touchscreen, and the ability to understand words of a human could replace several of the front-end jobs. With minimum wage increases, this idea is only going to become more in need from business owners. This would solve the problem of rising minimum wage and pressure on small businesses to keep up. Although it would take a lot of investment, there is strong support for A.I. in Canada, and there is a lot of potential for this idea to grow. If you didn’t have the money to create this from scratch, there is definitely ways to license existing technologies. Similarly to the idea above, this artificial intelligence robot would replace the front reception. Many companies don’t have a significant amount of people coming through their front doors, and when they do visit they already have appointments so the correct employee just needs to be notified. They also might take care of general emails, basic event planning, and ordering of office supplies. However, this could all be programmed into an A.I. machine that is tuned for each company. Again, this idea would take a lot of investment, but the A.I. 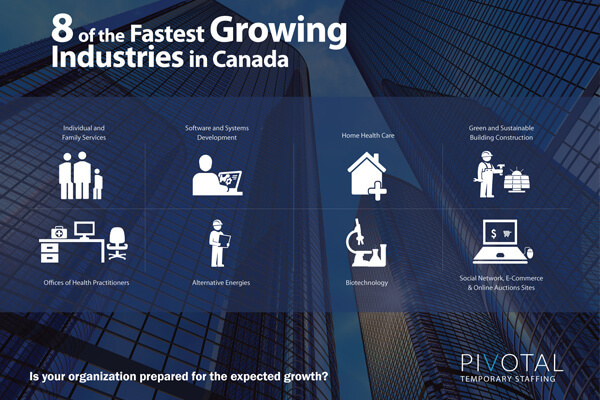 industry is hot for investment in Canada, and ripe for growth. Consumers, especially in Canada, are getting sick and tired of being gouged by these large phone manufacturers, along with having our data mined and sold to anyone willing to pay. Canadians are also tired of paying $1,000 for a phone and only to have every single piece of information sold for more. The Ethical Phone Company would sell phones to make a profit, but would not sell any of the data. Anything done on the phones would be encrypted so others could not hack into it either. If you have any experience in manufacturing and design, this could be a perfect business idea for you that has a great niche market in Canada with an opportunity to expand globally. Many cities and municipalities across Canada are turning to private companies and consultants for ways of making their roadways efficient. This business idea would cater to that growing demand by helping plan “smart” roads and city plans. Instead of regular city planning, special sensors, technologies, and deliberate placement of structures allows the city to operate much more efficiently. For example, by helping them have smart roads, they will know exactly when something needs to be fixed, when an accident happened, etc. Saving a lot of lives and money in the long run. This company could be started with low investment if you have experience or a willingness to learn this subject as you could use a consulting type business model. 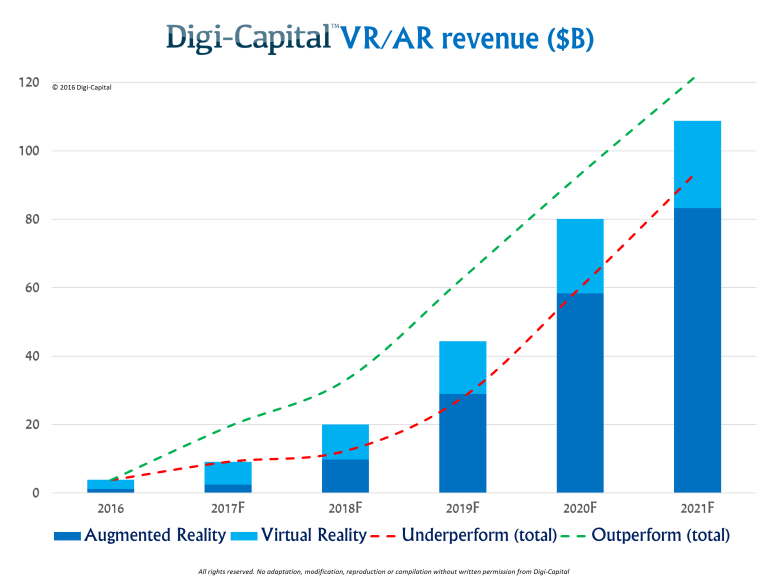 Augmented Reality (AR) has proven that it will be much more prevalent that virtual reality. The technology has the potential to cut a lot of costs in several industries if it is applied right. The AR Pre-Med SaaS (Software as a Service) business idea targets the medical education field. The software would provide a low-cost solution for people learning how to do certain surgeries or diagnosis. If you are a programmer or have a passion for AR, this idea is for you, as you could build a working prototype yourself, before raising money. This website idea could be started with only a couple thousand dollars, and would provide information and services for people who are looking to find stuff out about brands. It would publish how and if a company funds other organizations that you may not agree with, or if it pays its employees proper wages. Even things like if the company uses a supply chain that takes advantage of child labor, people want to know that so you can avoid supporting those bad business practices. Money can be made from ad placements and sponsored company reviews. If you are new to beginning your entrepreneurial journey, this could be a great idea for you to test the waters. Fake news is a real issue, especially since the issues related to it are not as emphasized like in other countries, however, it is still an issue. The news and content rating website business idea would provide unbiased third-party reviews of news and content providers to rate them for their level of trust for what they published. This would help guide people in where they should get their news, and slowly expose the fake news publishers. The business model could be based on ad revenue, and could be started with a couple hundred dollars. Personal Accountant and Budget Assistant A.I. During tax season, a lot of the paperwork with costly fees could be avoided if all the information and data was tracked along the way. This business idea would require high investment, but it could solve that problem for Canadians. A secure platform would collect information from the bank accounts and CRA account, and then compile all your budgeting and tax filing automatically. If you are passionate about the banking and technology crossover, this would be a great company to start as the Fintech industry is attracting a lot of investment and growth. Canada’s economic growth depends on immigration since the birth rate for their current citizens is very low. The immigration consultant idea would help the growth of Canada, and also help the others have a successful immigration into Canada. One could start by marketing to people overseas and offer consulting services to them. Taking this route, you could start this business idea with small startup costs, and enter a growing field. Similarly to the one above, after someone has immigrated to Canada, this company would help them find a career and get settled into their new life. It can be extremely intimidating migrating to a new country, and middle to upper-class immigrants may pay for the luxury to make that process smoother and less stressful. Again, this business idea can be started with little money if you have experience or passion for helping others get settled to have a successful life here in Canada. 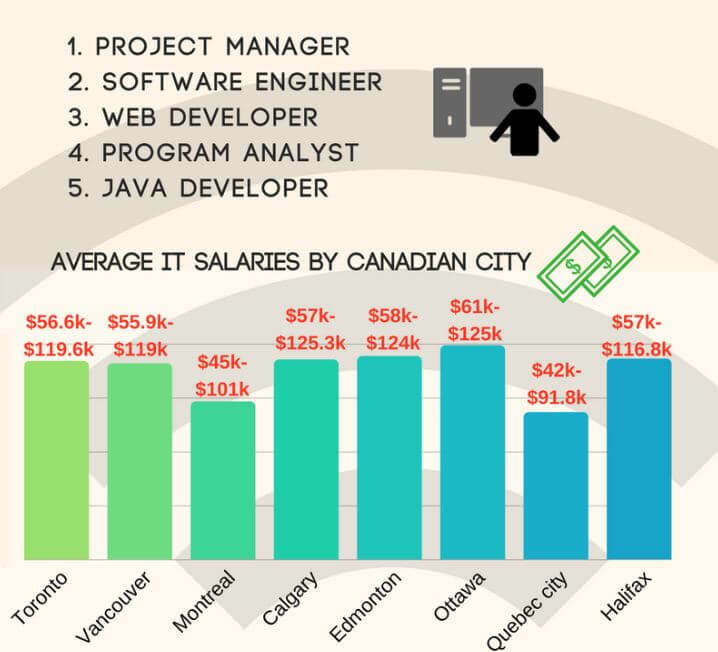 There is a huge demand for more programmers and coders in Canada. Specifically in the big cities like Vancouver and Toronto. This demand comes from the weak supply of talent that comes from the school systems, as there is not enough programming schools that give the students the skills they need for on the job. Instead, many are forced to spend more time and money on other courses, and when they graduate, there is a lot of competition from large US companies to hire them. This idea for Canada will help fill that gap, and create a program and course that could be franchised across Canada. Passion or experience for teaching and coding would be a must. This idea could start small if you began with a single franchise to test it out, possibly in Vancouver or Toronto. Entrepreneurial skills are in high demand. A large portion of post-secondary graduates want to start a business and be their own boss, but they don’t know how and where to start. This is where the entrepreneurial bootcamp company could come in. One could use a franchise business model, build a solid foundational program that has success in people’s lives, and try to roll it out across Canada. If you are new to entrepreneurship, this could still be done with tips and strategies from successful entrepreneurs as a helping hand. This business could also be executed with a low startup cost. The aging baby boomer population is huge in Canada, and that group is set to grow quite a bit over the next few years. This service would cater to that growing group of people and provide companion and errand services. Many times, elderly people may get lonely if their partner has passed away and their family spends a lot of time living their life. Elders can also have trouble doing regular errands to get medicines, going to doctor check-ups, getting groceries, or just going to explore. This could be started with a low startup cost as you could do it yourself in the beginning until you had a steady client base. 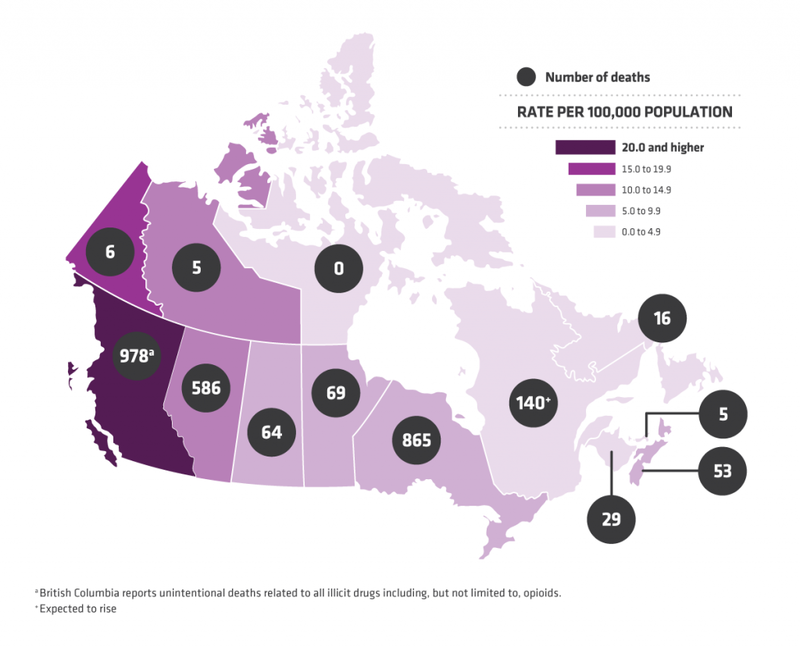 Opioid addiction is becoming an epidemic in Vancouver and many other parts of Canada. Overdoses have reached record levels and are showing no signs of slowing down, unfortunately. To help your community you could start a not-for-profit organization designed for safe opioid use and rehabilitation to prevent further addictions and overdoses. Even if you don’t have much money to start a company like this but you want to help, many cities or governments may be willing to give you grants in return for your hard work. While online consultation services are being used in many doctor clinics, what about the dentist industry? Sometimes people have such bad mouth pain, but they want to know if it is an emergency and they need to book something, or they can just take some medications to help. Instead of having the hassle to go into the dentist office, one could do a video call with the dentist and explain the symptoms, and the dentist could let them know how they should continue. It could also be used as a second opinion if you think your dentist is just trying to upsell you on everything. The legalization of marijuana in Canada will require the need for testing the products to make sure they are in compliance and are safe for the public’s consumption. There is a significant amount of producers and dispensaries, however, there is a lack of controlled testing environments for the cannabis to be sold. One could open a facility or even a mobile test van that could go to the different dispensaries and producers on a regular basis to test the product to make sure it could be sold. This idea may take a medium-sized investment to get started, due to the testing equipment and overhead needed to house it all. Many of the new marijuana dispensaries or producers in the industry will need guidance on legislation and regulatory implications behind the scenes. This business idea would cater to that, using the low-cost business model of consulting. If you have an interest in regulation, this could be a lucrative field to get into, as many operators or founders may not know how to navigate such a regulated industry. The aging baby boomer population is creating significant demand for high-quality yet affordable care homes that provide excellent health care. Many families would like to get their grandparents or parents into assisted living, which is why this idea would thrive. One would need a large initial investment to get this started, however, the continued cash flow from this business would be worth the rewards. If you love helping others live a happy life in retirement, this idea would be a great fit for you. Canadians are always looking for ways to utilize more renewable energy. As gas prices becoming higher and higher (for a multitude of different reasons) there is more demand for energy that is self-sustaining and can be a more affordable alternative. If this interests you, one could launch a renewable energy consulting business. There are a few different approaches you could take, one is working with cities and governments on how they can utilize renewable technologies and invest in the sector. Or you could target the end consumer and charge a consulting fee to recommend and install the right renewable energy equipment for their needs, area, and home. Using blockchain technology, you could buy a small plot of land and set up solar panels to gather energy. Then people in the community could buy a battery pack and use your solar energy to charge it for a cheap and competitive fee related to their hydro situation. This idea could be very popular out east as electricity can be expensive in rural communities. To really validate this business idea before you launch it, one can do a survey to people in their community to see if this would be something they would like to use. Electric car sales are steadily increasing year over year, partly because Canadians want to be more eco-friendly, and it can also save a lot of money. However, the one reason that keeps more people from buying them is the car charging stations. 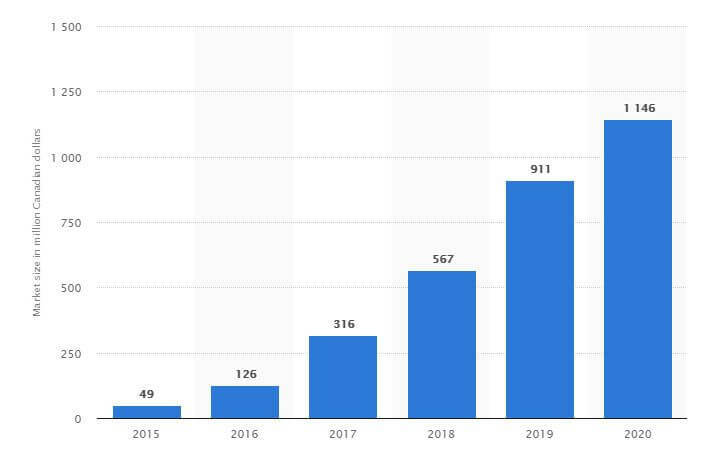 If there are more charging stations in place, more electric cars will be bought and this company could grow. You could start out by getting contracts with condo developments to install a few electric car charging stations, with the ability to charge people by the minute in the future. Most of the infrastructure is built so some solid sales skills and hustle could bring you far with this idea. Canada has mandated that internet is a basic need for anyone living in Canada. They have also started providing grants for companies who build infrastructure and provide internet to people in rural areas like the northern part of Canada. If you have an interest in industrial internet infrastructure, this idea would need some sizeable investment, but there are long-term benefits as it could potentially be a monopolized market. This idea would provide “smart” industrial civil engineering equipment to people who build roads and bridges. By installing special sensors and technology into the rebar, concrete, and steel, one can monitor the condition and quality of the structures over-time without having to be there. This could create a lot of efficiencies for the cities that use this equipment, and it can also be used to help in places with severe winters by warning the snow plows where there is build up. If you have a background in civil engineering, this company could be started at a low cost. By finding a customer that needs these parts, and then building them after payment, you wouldn’t need a large investment. If you are looking to help your community, this could be a great company to start. Many large cities (that have a huge chunk of the Canadian population) such as Toronto, Vancouver, and a few others, are becoming largely unaffordable to live for young people. This puts a strain on the economic activity and businesses there as they need a steady stream of young people to spend money and employ. 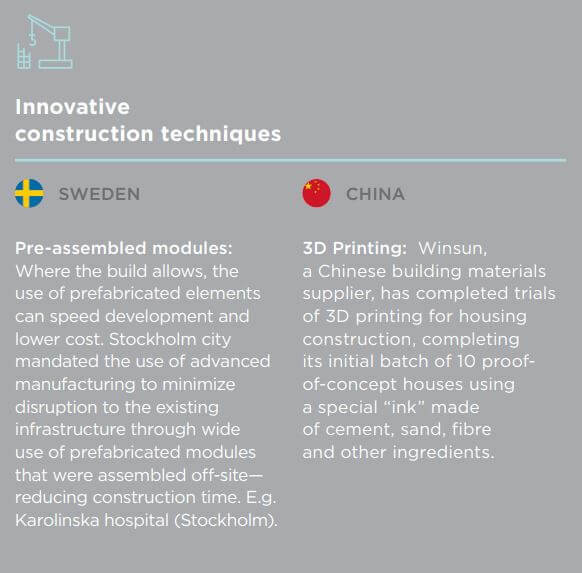 To differentiate yourself and build affordable housing, techniques from places like Switzerland, Sweden, and China can be taken to build more effectively. Many of their techniques are not used here, and could create a real advantage. This would require a medium to large size investment to get started, however, the government may help you with loans or raising money since they know this is putting strains on some of their most important economies in Canada. While gas prices keep rising, so will the consumer’s questions whether sticking with a gas car is really worth it. This business idea would require a high level of investment, but could have large growth in the coming years. And, with the Tesla production problems, there is room for competitors to enter with a sleek electric car for the mass market. If you have engineering or car mechanical skills, this could be a great idea for you to consider. Many small businesses in Canada are feeling the wrath of Amazon’s power when it comes to their ability to distribute products across Canada for such a low price. However, these small businesses may be willing to pay a monthly fee to help avoid going out of business due to the shift to e-commerce. This company would help them distribute their products to their customers in local or regional areas. You would begin by setting up a warehouse and a small distribution network that can ship goods. Then you could make relationships with small businesses who don’t have the resources to start their own distribution network and warehouse, and charge them a monthly fee for doing so. This is similar to the idea above, except taking a for-profit mindset and building for the wealthy. There is still growing demand for housing, even if it is expensive, in both Toronto and Vancouver. If you having construction skills and have been in the industry for a couple years, this could be a perfect business idea in Canada for you to start. 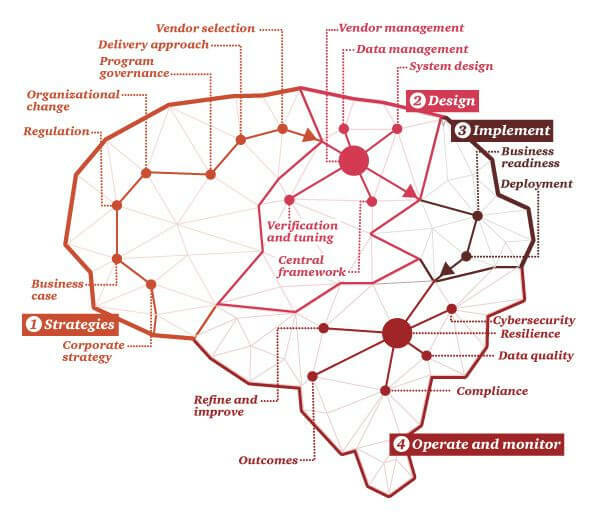 The Canadian investment landscape has been proven to be vast in resources and capital to fund businesses, however, there is a lack of connectors to get that money in the right hands of the people who can use it and build great businesses. One could take a low investment approach to this idea and build an online portal that allowed vetted companies to raise capital. There are already a couple other companies that have proven that this model works, however, there is still need to matching that supply with the demand. Have a passion for venture capital and angel investing? This would be a great company for you to start. Many of the personal quick “payday” loans take advantage of the people using the service when they are the most in need of affordable loans. For instance, these loans can run very high-interest rates, around 20%-25%, while also taking a significant amount in service fees. However, the people that need these loans are usually paying rent or buying groceries, and they are desperate. Taking an ethical approach behind this, one could launch this business idea in Canada with a lower interest rate and fees that are charged. If you have a moral heart and an interest in finance, this business could become wildly popular. Cyber-attacks is one of the highest threats to small, medium, and large businesses when it comes to technology. 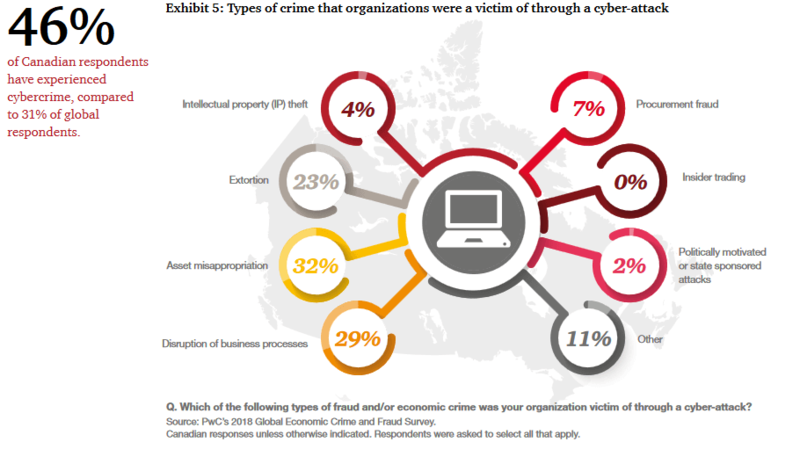 A cyber-attack not only wreaks havoc on the businesses image, it can also significantly affect their revenue and financial return. To help businesses protect themselves against these types of loses, one could start a cyber insurance company that would insure losses that would be related to a cyber-attack. This idea would require knowledge and specialization in insurance underwriting to properly execute. Since this is would be a company in financial services and fintech, it would require a large investment to get started so money may need to be raised.